Margaret Ann McCormick was a loving wife, mother, and grandmother. She modeled a lifetime of hard work, generosity, and compassion. Margaret embraced life to its fullest measure and never settled for less than her very best in anything she set out to do. She welcomed change and was known to rearrange her furniture often. There were numerous times the family would walk into a room and trip over the furniture she had moved. Nothing warmed her heart more than the time she spent with family. 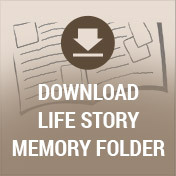 Margaret loved family get-togethers and enjoyed sharing in the many successes of her loved ones. Although she will be deeply missed, there is no doubt that her endearing spirit will live on in all who knew and loved her. Her story begins in the year of 1940. The effects of the Great Depression were finally beginning to ease, yet there was strife in Europe when Germany invaded France. The feel-good feeling of leaving the depression led to the release of "Gone With the Wind" and the Jazz music of Benny Goodman and Count Basie boomed in every living room. Andrew and Naomi (Smith) Jorgensen were overjoyed to welcome home their oldest child, Margaret Ann on January 19th in Allegan, Michigan. Her birth brought much happiness to the family home. Growing up on the family’s dairy farm lent itself to a childhood filled with daily chores. Margaret, or Moogie, as her family affectionately called her as well as her younger brothers, Ronald and Donald knew the value of a hard day’s work and credited their strong work ethic to those early adolescent years. In addition to tending to the farm, she also learned some domestic skills such as canning and baking from her mother. As a matter of fact, over the years, she perfected making pies and cakes. 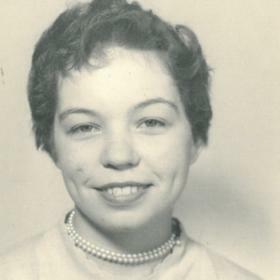 Graduating with the Class of 1957 from Bloomingdale High School, Margaret left for work in Kalamazoo as an operator at Michigan Bell and lived at the local YWCA. It was during this time that she met the man of her dreams, Robert Ellsworth McCormick! 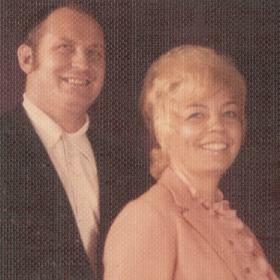 Eager to settle down, they joined in marriage on her family’s farm in Allegan on October 11, 1958. Together they raised three wonderful daughters; Deia, Darla, and Dawn. She raised each of them to be strong, independent women. Although they lived and worked in Kalamazoo, they spent much of their time back on the family farm in Allegan as that is where Margaret always felt at home. Margaret held many special interests over the years. 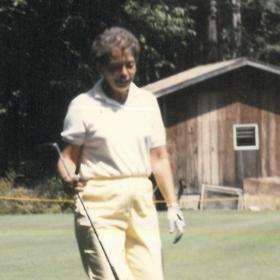 She enjoyed golfing in the Michigan summers and bowling helped her survive the long Michigan winters. She and Bob didn’t do much traveling, but given the chance, they’d head for McGuire’s Resort in Cadillac or French Lick, Indiana for special golf outings. She also loved to crochet, a gift she learned from her mother and was known to make doilies, afghans, tablecloths, and doll clothes. Margaret was also an avid bear collector. She had countless bears that she had collected over the years. When given the opportunity to watch television she preferred the shows from the 1950s and 60s. The fifties were her growing years so it was no surprise that she liked the music of Elvis Presley as well as the country music stars, Johnny Cash and Hank Williams. Music was her passion and she loved to spend time playing both the piano and the organ. When Bob passed away in 1997, Margaret decided to make plans for her future and a short time later retired from her job with Borgess at the age of 60! She and her sister-in-law, Suki became especially close during her widowed years and enjoyed many trips to Florida as well as exploring much of the country. As the years went by and Margaret’s family continued to grow, she cherished each and every family event.  The birth of her two granddaughters, Jennifer and Jori captured her heart forever. There simply wasn’t anything she wouldn’t do for them. She shared with them her positive outlook on life and taught them to take pride in whatever they set out to accomplish in life. Always thoughtful and kind, anytime anyone in the family went on vacation she offered to stay at their homes and watch the pets! During her retirement, she moved to Leisure Time Condominiums. A lover of all people, she made friends easily and enjoyed living in the community as everyone looked after one another. Many of her special friends were like family to her. She was pretty simple in her likes of food, yet loved to treat herself to a Root Beer Stand hot dog or a sub from Mancino’s from time to time. When she chose to stay in, she loved to fix a good old fashioned meatloaf to enjoy. Described as friendly, good-natured, and loyal, Margaret leaves behind a rich collection of fond memories for her family to reflect on for years to come. Margaret McCormick, age 78, of Kalamazoo passed away on Thursday, March 29, 2018. She worked at Shakespeare and Borgess Hospital for many years before retiring. 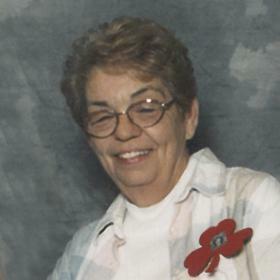 Members of her family include her three daughters: Deia Sportel, Darla (Mark) Pilbeam and Dawn (Randy) Gauna, her brother Donald Jorgensen, two grandchildren:Jennifer Anderson and Jori Sportel, five step-grandchildren: Eric and Kendra Pilbeam, Tony, Joey and Brie Gauna and many nieces and nephews. Besides her husband, she was preceded in death by her brother Ronald, son-in-law Joel Sportel and a sister-in-law Suki Jorgensen. 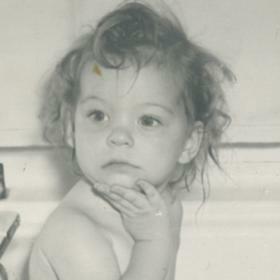 Cremation has taken place and an open house to celebrate her life will be held on Tuesday from 4-7 pm at the Betzler Life Story Funeral Home, 6080 Stadium Drive, Kalamazoo (375-2900). Please visit Margaret’s personal web page at www.BetzlerFuneralHome.com, where you can archive a favorite memory or photo and sign her online guestbook before coming to the funeral home. Memorial donations may be made to the West Michigan Cancer Center or the Kalamazoo Humane Society.